THE OUTDOOR ADVERTISING PLATFORM THAT REWARDS ADVERTISERS AND DRIVERS! 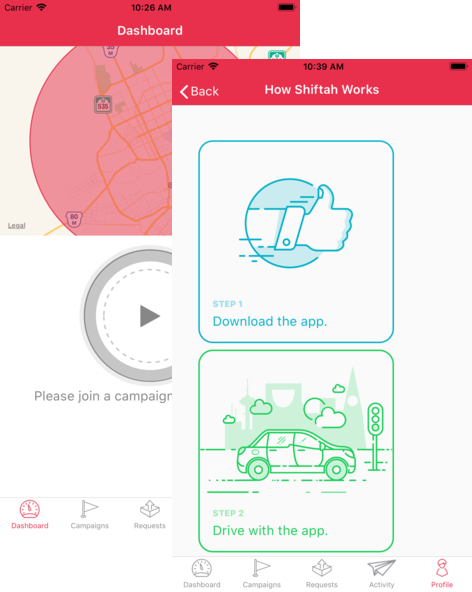 Shiftah provides brands with the tools to amplify their marketing campaigns, while simultaneously allowing drivers to gain extra cash, by having their cars temporarily wrapped with brands campaigns. 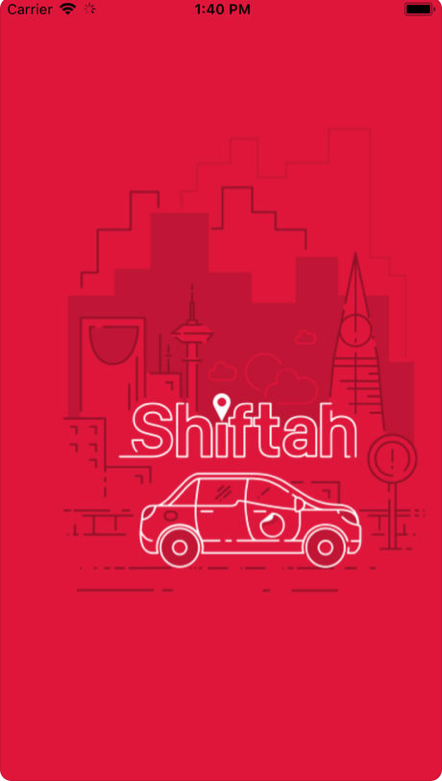 Shiftah was funded by Saudi Aramco Entrepreneurship Ventures in Dec 2017. Shiftah’s founding team approached us mid 2017 with their concept, they were looking for a reliable & innovative design and development team that would translate the cocept into a great user experience with robust geomapping and easy-to-use advertiser portal. 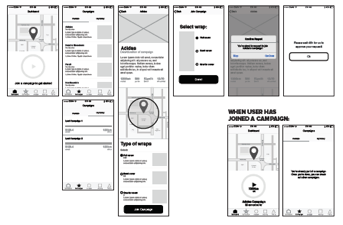 Our team worked with the client on their launch UX strategy before mapping the high-level user flow that fed into the wireframing process ending with a detailed wireframes of the driver’s app. We teamed up with @Syntax and worked on creating a visually apealing yet extremely functional UI design for the app so drivers can understand the process and to easily join & run campaigns. 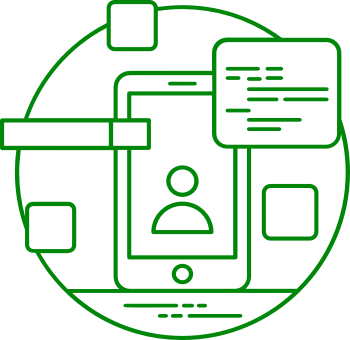 While the app’s design was getting finalized, we started architecting the platform that will run Shifta’s MVP including coding the the operational backbone of the platform: the backend, as well as the APIs that will interact with the mobile apps we developed and provide real-time map tracking and calculations as well as the advertiser’s panel that will help advertisors track their campaigns. 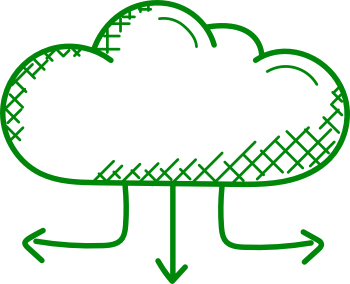 Just before launch we designed a robust, reliable initial clound hosting enviroment that would serve the MVP’s initial launch. After the alpha and beta launches we continued working with the founding team on all of their product development needs.